Successfully Added VKWorld Discovery S2 Smartphone - 5.5 Inch FHD 3D Screen, Gorilla Glass, Fingerprint Scanner, Dual SIM 4G, Smart Wake, OTG to your Shopping Cart. Last year VKWorld released their much awaited discovery Smartphone with 3D screen and now it's time for the follow up. The Discovery S2 boasts all the greatness of its predecessor such as the stereoscopic screen that allows for 3D video viewing without the need of 3D glasses, but you will also get a few new features such as a fingerprint scanner and 2.5D corning glass screen. The fingerprint scanner on the rear of this phone is for more than securing and unlocking the device. it can be used to control other aspects of the phone such as the camera and music player and you also get navigational aids such as smart wake and gestures sensing on this tope end Smartphone. When used with the Android 5.1 interface you get an enjoyable user experience that looks fresh and crisp on the full HD screen. 4G connectivity is just what's required for streaming all that 3D content and with two SIM card slots you can manage multiple numbers for the best network coverage wherever you may be. 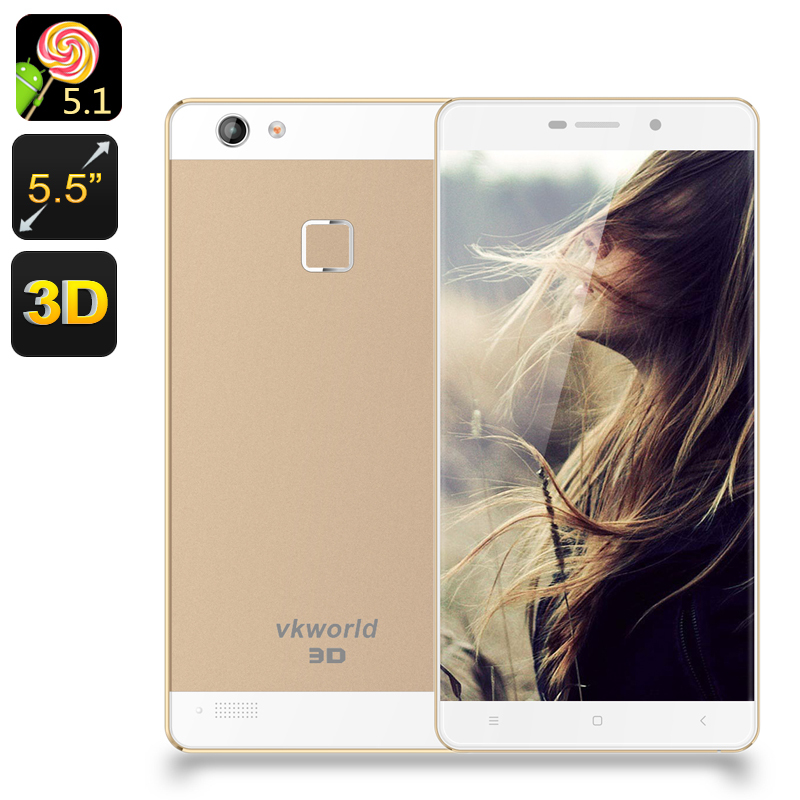 This VKWorld Discovery S2 comes with a 12 months warranty, brought to you by the leader in electronic devices as well as wholesale Android Smartphones.